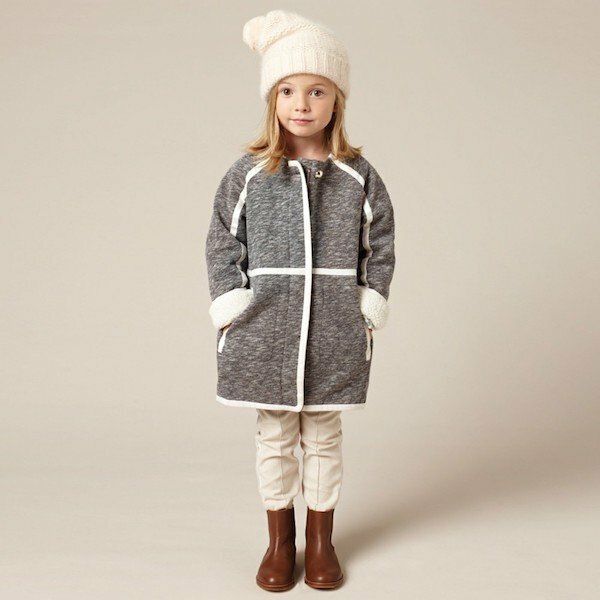 Now this is a beautiful look for girls this Fall Winter season by French brand by Chloé for Kids. This gorgeous off-white dress is made from a luxurious soft jacquard fabric with gold lurex embroidery. The dress is made as a one piece but has an attached overlay which makes it look like a long top and skirt. Designed in an elegant, classic 1950's style the dress has long, fitted sleeves to keep her nice and warm, fastens at the back with a concealed zip and has the Chloe logo embroidered on the hem. 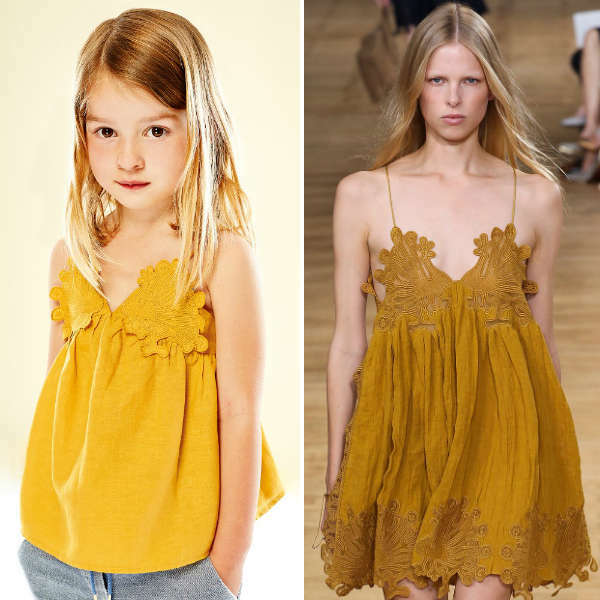 Inspired by the Chloe Women's Collection Featured on the Runway at Paris Fashion Week. Ships Worldwide.